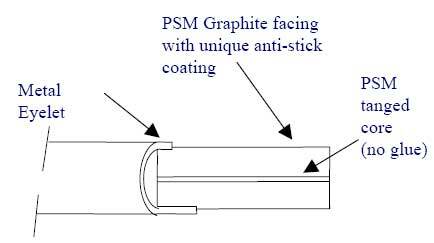 • Unique Anti-stick coating – no unnecessary cleaning of flanges. 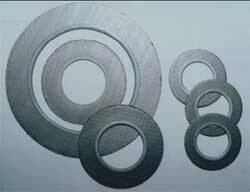 • High blowout resistance compared to non-metallic gaskets. • No possible leakage through gasket body. • Excellent high temperature vacuum seal. • Maximum temperature 450°C when exposed to air /oxygen – higher temperatures possible in oxygen-free or reducing environments. • Seals poor condition flanges due to graphite sealing while the eyelet material can be suited to the process media.